I. Meditate 3-5 times on Hebrews 12:1-14 this week. II. Review Leadership and Self-Deception, Chapter 24. III. 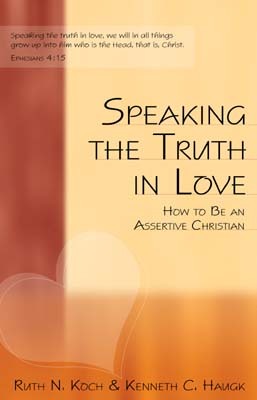 Read Speaking the Truth in Love, Chapter 17. Take notes. V.Go back over the notes you have taken during the last 7 sessions and look for things that stick out. How have you grown or changed? What would it take to keep moving forward? Write down one or two things you strive to take with you from this triad experience and how you plan to stick with these. VI. Write down three concrete and specific things you respect or admire in your triad teammates. Be generous and specific in your praise! Looking toward new relationships: share the result of your conversations with others this week. Do you have a team and starting date for your next triad? If not, what is your plan to make sure that happens? Interact with the material: Share the most important ways you have come to think, act, or experience life differently because of this triad and then your plan for implementing one or two strategies from this triad. Would your teammates confirm your own assessment? Encouraging Prayer: Take time to share three concrete and specific things you respect or admire in your triad teammates. Then offer thanksgiving to God for the people He has placed on your rope these last 7 weeks. Plan a Reunion: Finally, set a date 3-6 weeks from now when you can meet again just to touch base and see how things are going. You might find you miss each other!